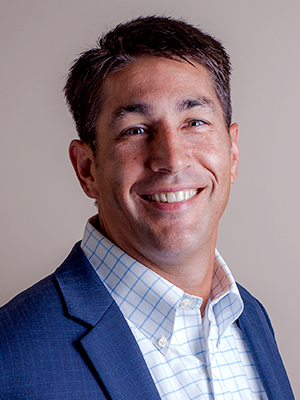 After graduating with an MBA, Mike Domingue recalls having conversations with an investment broker and an insurance agent that shaped his career path. “I found it surprising that as a client of an investment advisor and a separate insurance agent, there was never an integrated conversation or approach to holistic planning across both investments and insurance. It felt like a gap for me.” Believing he had more to offer, Mike’s first step to take advantage of the opportunity he saw in holistic financial planning was to join MassMutual. He worked there for eight years focused on financial planning. Eventually he left to work for two years at a Lafayette based financial planning firm, and then in 2016, he joined Darnall Sikes Wealth Partners. For more than eleven years, one of Mike’s formative experiences had been working for his grandfather’s small business. He held a position as a vice president where he oversaw a team of 50 workers, giving him a view into some of the common challenges facing business owners. The experience also educated him on some of the dynamics and concerns within a family business — insights that help him today as he works with Darnall Sikes clients. I find that talking with people about anything but money is a good way to begin to understand their needs and interest. It makes it that much easier to move into deeper discussions about their financial goals and vision — and then to start putting the plan into action.